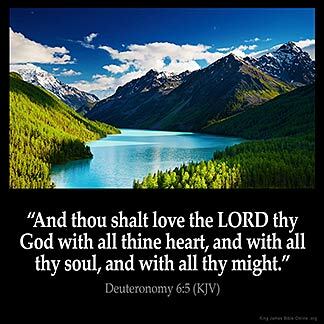 Deuteronomy 6:5 — "And thou shalt love the LORD thy God with all thine heart, and with all thy soul, and with all thy might." 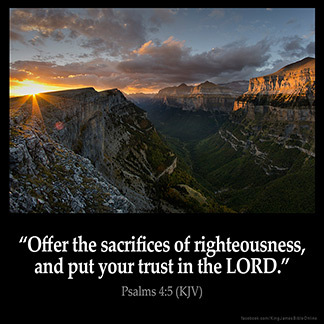 Job 19:25 — "For I know that my redeemer liveth, and that he shall stand at the latterday upon the earth:"
Psalms 4:5 — "Offer the sacrifices of righteousness, and put your trust in the LORD." 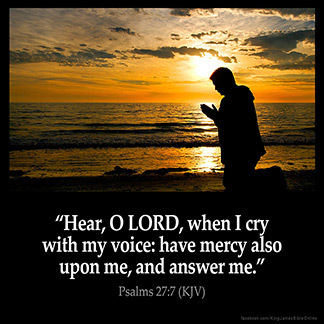 Psalms 27:7 — "Hear, O LORD, when I cry with my voice: have mercy also upon me, and answer me." 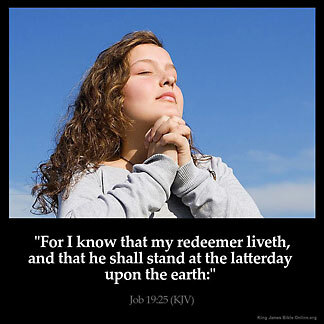 Psalms 29:2 — "Give unto the LORD the glory due unto his name; worship the LORD in the beauty of holiness." 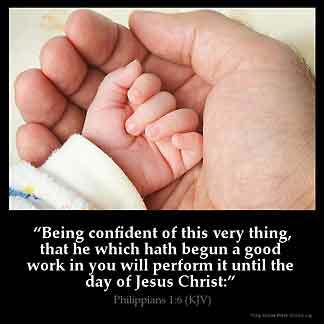 Psalms 89:15 — "Blessed is the people that know the joyful sound: they shall walk, O LORD, in the light of thy countenance." 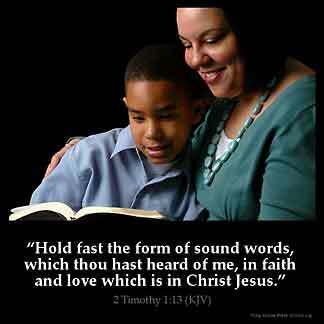 Psalms 103:1 — "Bless the LORD, O my soul: and all that is within me, bless his holy name." 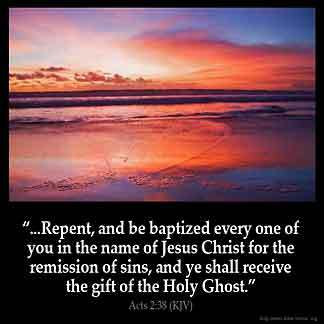 Acts 2:38 — "...Repent, and be baptized every one of you in the name of Jesus Christ for the remission of sins, and ye shall receive the gift of the Holy Ghost." 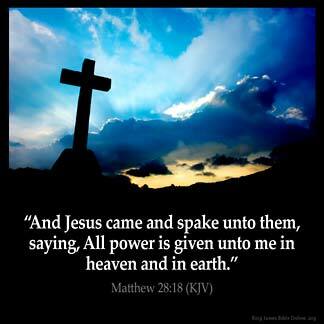 Matthew 28:18 — "And Jesus came and spake unto them, saying, All power is given unto me in heaven and in earth." 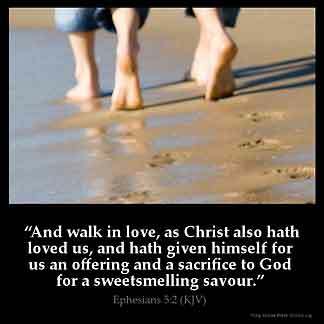 Ephesians 5:2 — "And walk in love, as Christ also hath loved us, and hath given himself for us an offering and a sacrifice to God for a sweetsmelling savour." 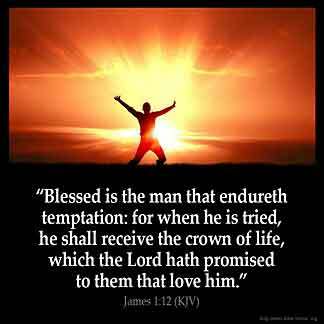 Philippians 1:6 — "Being confident of this very thing, that he which hath begun a good work in you will perform it until the day of Jesus Christ:"
James 1:12 — "Blessed is the man that endureth temptation: for when he is tried, he shall receive the crown of life, which the Lord hath promised to them that love him." 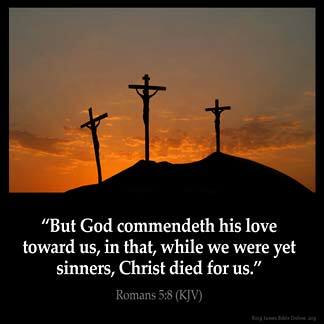 Romans 5:8 — "But God commendeth his love toward us, in that, while we were yet sinners, Christ died for us." 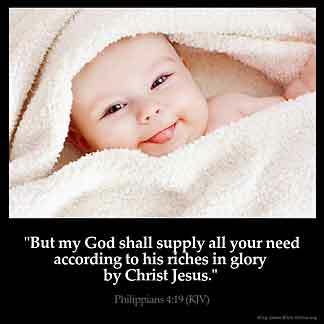 Philippians 4:19 — "But my God shall supply all your need according to his riches in glory by Christ Jesus." 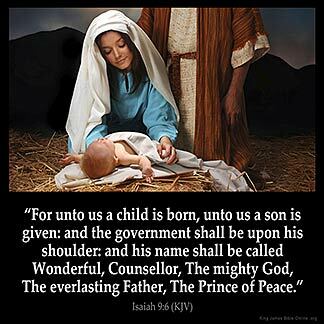 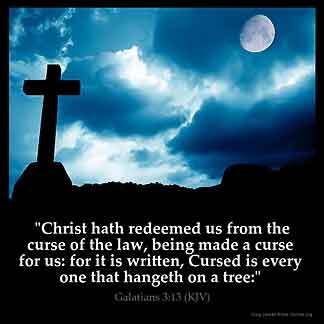 Galatians 3:13 — "Christ hath redeemed us from the curse of the law, being made a curse for us: for it is written, Cursed is every one that hangeth on a tree:"
Isaiah 9:6 — "For unto us a child is born, unto us a son is given: and the government shall be upon his shoulder: and his name shall be called Wonderful, Counsellor, The mighty God, The everlasting Father, The Prince of Peace." 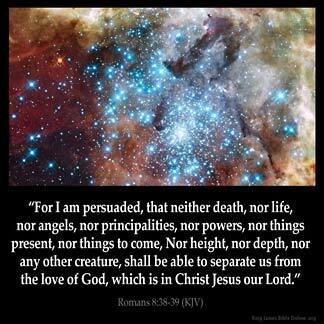 Romans 8:38-39 — "For I am persuaded, that neither death, nor life, nor angels, nor principalities, nor powers, nor things present, nor things to come, Nor height, nor depth, nor any other creature, shall be able to separate us from the love of God, which is in Christ Jesus our Lord." 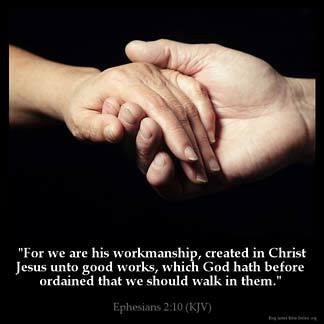 Ephesians 2:10 — "For we are his workmanship, created in Christ Jesus unto good works, which God hath before ordained that we should walk in them." 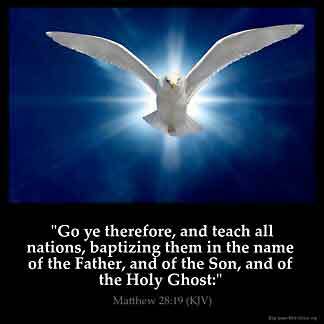 Matthew 28:19 — "Go ye therefore, and teach all nations, baptizing them in the name of the Father, and of the Son, and of the Holy Ghost:"
2 Timothy 1:13 — "Hold fast the form of sound words, which thou hast heard of me, in faith and love which is in Christ Jesus." 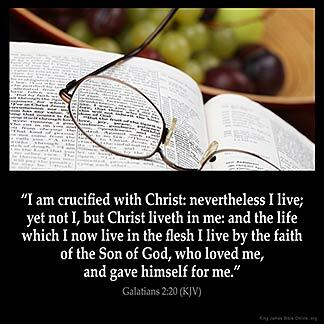 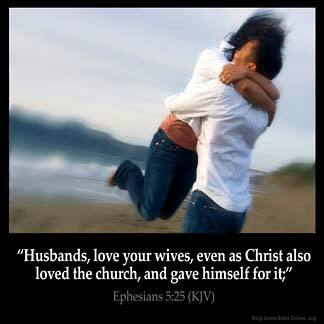 Ephesians 5:25 — "Husbands, love your wives, even as Christ also loved the church, and gave himself for it;"
Galatians 2:20 — "I am crucified with Christ: nevertheless I live; yet not I, but Christ liveth in me: and the life which I now live in the flesh I live by the faith of the Son of God, who loved me, and gave himself for me." 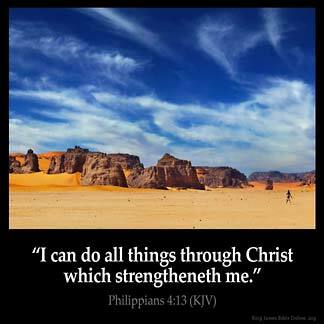 Philippians 4:13 — "I can do all things through Christ which strengtheneth me." 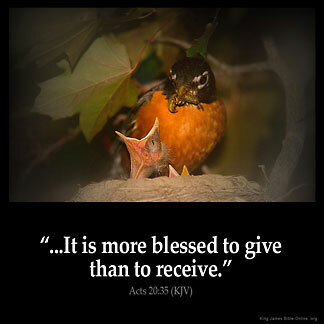 Acts 20:35 — "I have shewed you all things, how that so labouring ye ought to support the weak, and to remember the words of the Lord Jesus, how he said, It is more blessed to give than to receive."